Tosinger's monthly newsletter includes release updates, show announcements, music news, exclusive videos, new products and new music. Get a free download when you sign up! Tosinger is Art. 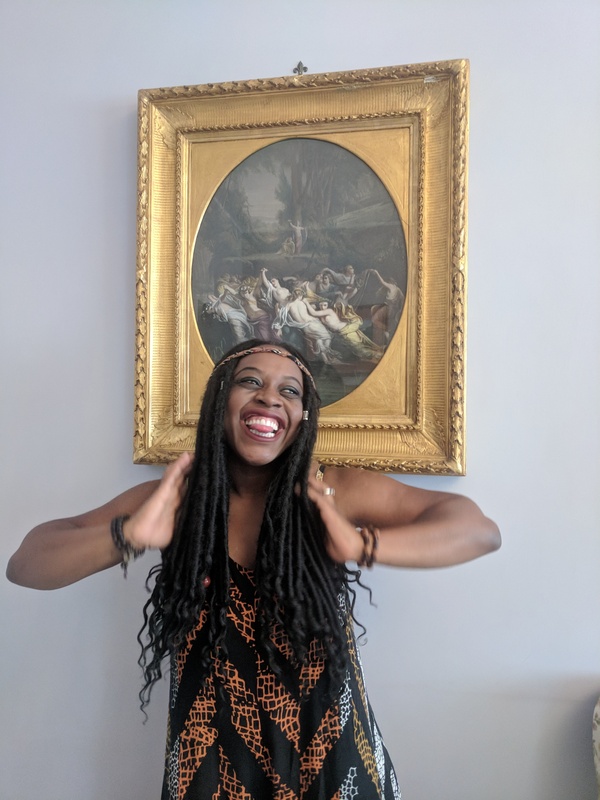 "Madonna Rising"
in Lola Scott's Photo Art Exhibition "Altered Realities"
Tosinger launched a new youtube storytelling channel 'Tales with Tosinger', where she shares afrofolk tales from the past and present day for audiences from ages 1-99 :). Also, her book of folktales 'Seven Afrofolk in Seven Days' is now available on amazon and kindle) Subscribe to the channel here. She also co-hosts the African Experience Worldwide Show on WRFG 89.3 FM Atlanta (stream online at www.wrfg.org) 11am to 2pm EST every Saturday. 'Linkages' storytelling comes up at around 12.30pm. Stay tuned and let's go on a cultural journey together! Tosinger has been featured in the current issue of Radiant Health Magazine. Nigeria's premier and leading health magazine. <<<<< Get your copy>>>>>> to read Tosinger's take on the source of her inner/outer radiance. Following the release of an EP (Finally) in 2012 and 'The Afrospire Demo' (2013); Organically Singing' the debut album 2015 is now available across all digital platforms . Just like the title implies, the music on the album is a collection of original, fresh and healthy lyrical content and pure vocals for the soul and spirit, songs of soulful afro genres that include nostalgic cultural folk songs, with a dash of the yoruba language in places, ambient sounds, inspirational messages and unique interpretations of ethnic world sounds. The songs on the album come with the themes - Of Faith, Of Hope and Of Africa including a prelude and a 360° remix of the current fan favorite; 'Ile - Home'. 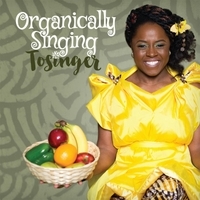 Organically Singing the album is now available for your download on iTunes, CDBaby, Amazon, Bandcamp, Google Play and any other digital outlets that you would prefer (just search 'Tosinger'). Please do not forget to leave a review/feedback on the platform you download the album from and spread the word. Listen to "✿ T O S I N G E R ✿'s tracks" on Spreaker.